Continuing the long history of the symposium for bulk metallic glasses, we are now organizing the 15th consecutive symposium at the 147th annual TMS meeting held in Phoenix in March 2018. We are welcoming you to join this successful symposium and to share your latest breakthroughs with the community. This symposium will provide fundamental understanding and theoretical modeling of processing and mechanical behavior of bulk metallic glasses (BMGs). In the last decade, new approaches to fabricating metallic glasses [i.e., by utilizing unique combinations of elements to form metallic-glass alloys] have resulted in the required cooling rate dropping from 105 C/s to as low as 1 C/s, and the specimen size increasing from 0.05 mm to as large as 80 mm. Because of the large sizes possible with this exciting technology, the metallic glasses are called BMGs. Mechanical behavior of BMGs is among the new, exciting fields of research that are fully illustrating their advantages over crystalline alloys. Generally, BMGs have higher fracture strengths, fracture toughness, and elasticity than their crystalline counterparts. There is great interest in BMGs for use in biomedical, structural, and mechanical applications. 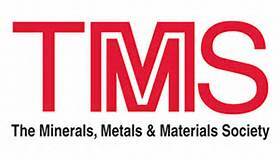 We gratefully acknowledge our TMS sponsors, which include the Structural Materials Division and the Mechanical Behavior of Materials Committee. We are looking forward to meeting you in Phoenix.